One cannot stop to acknowledge the redemption of the pledges made by His Excellency Governor Olusegun Mimiko, (Chief Executive Officer of Ondo State) during his electioneering campaign era. More pointedly, these rare virtues displayed by him have clearly likened his leadership style to that of the proverbial Iroko tree. Few moments after his assumption into office in late February 2009 (after 6 years of locust and wasteful years by the past govt. ), Ondo State has been witnessing significant and phenomenal changes in key areas like, Housing, Health, Education, Agriculture, even in urban renewal, economic advancement, to mention a few. 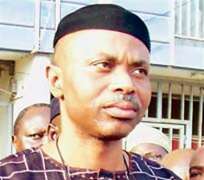 No doubt the administration of Governor Olusegun Mimiko has ostensibly set a precedent in recording ''no holds barred'' achievements in the interest of Ondo State. Consequently, the Governor has embarked on another economic rescue mission to boosting the prosperity of the state through the revival of Ifon Ceramics Industry (Ondo-State owned company). Some 19 years back, the company stopped production of ceramics materials; (the company was then known for the exploration of massive clay deposits in its area of location (Ifon), it was commissioned by the then President Ibrahim Babangida). The state government, in its determination to resuscitate all the ailing industries owned by the state, most of which were established during the second republic or late eighties, had announced the development of a blueprint to open fresh economic opportunities for the state through the initiative. Already, a Memorandum of Understanding (MOU) that would facilitate the commencement of production would be signed very soon by the state government alongside a team of technical experts from the Republic of China, who are also expected to test-run the equipment for the next seven months. Moreover, the Technical Director of the Chinese Firm, Mr. Mallinson Afam Ukatu, who led the experts from China, said that the resuscitation scheme of the ceramic company would begin before the end of July 2009, as all the details of a smooth operation have been taken into consideration. State Commissioner for Commerce and Industries, Mr. Akin Akingbesote, during a tour of the facilities in the vast complex in Ose local government area, during the weekend, assured the commencement of production, and disclosing that apart from increasing the economic indices in the area, it would also boost the employment drive of the state government. He equally made confirmation that an employment package that would take care of old staff of the industry would be embraced, while strong economic mechanism that would allow for sustainability of the industry will also be put in place in fulfillment of the state promises to the good people of Ondo State. Akingbesote, further reaffirmed that he had inspected all the moribund industries in the state to identify and appraise them with a view to bringing in experts that would revive them, added that by the end of 2009, at least three of these factories would commence operations according to the state economic master plan. Meanwhile, an elder statesman in Ondo State, Dr. Joseph Akinlaja, who is also the deputy national chairman of Nigeria Labour Party, made some captivating comments geared at reassuring the people of Ondo State and Nigeria at large that Labour Party is set to offer all the benefits of democracy as well as meaningful development that can catapult people from place of poverty to prosperity. He went further to say Nigerians have not seen anything yet in terms of progress and achievement which Labour Party has planned to deliver at all levels.